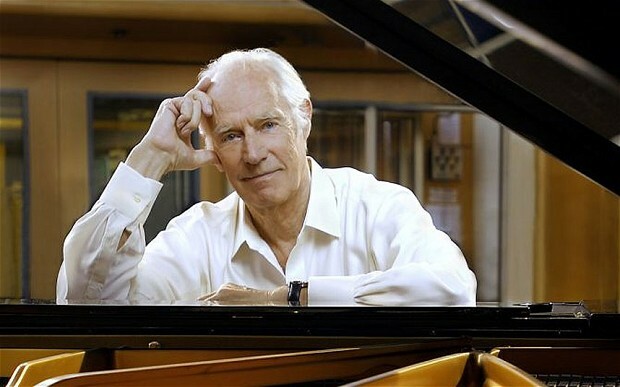 Sir George Martin, who recently passed away at the age of 90, had a long and extremely successful career as a record producer in Britain. Picking up the gift for music at an early age, Martin started his career in the BBC's classical music department before joining EMI in 1950 as an assistant to Oscar Preuss, the head of EMI's Parlophone Records from 1950 to 1955. Parlophone in those days wasn't taken seriously by EMI and as such, insignificant acts were signed to the label and when Oscar retired in 1955, George Martin took over the role as head of the label and recorded classical and baroque music, original cast recordings of West End shows and travelled around, recording regional music from all over the UK. The label's most popular output at that time were its comedy and novelty records. Over the course of the 1950s, Martin worked with the comedy team known as the Goons. The Goons were Peter Sellers, Spike Milligan and Harry Secombe and 'The Goon Show' was extremely popular with radio audiences on the BBC Home Service. Becoming a friend of them all, especially Spike Milligan, George issued comedy records with them together and solo. Despite having success with his comedy records, Martin had been watching the rise of this new thing called 'Rock and Roll and saw the success Cliff Richard and The Shadows were having over on Columbia, Parlophone's sister label. Martin was looking to sign someone even better than them to Parlophone and, in 1962, he did it. Martin met an enthusiastic manager of a beat group in Liverpool and, on the basis of the manager's charm and belief that his group were going to be 'Bigger than Elvis', he gave them a recording contract, without ever meeting them or seeing them play l.
That group was the Beatles and the rest, as they say, is popular music history. The Beatles allowed Martin to become a rock and roll producer and to push the boundaries of recording techniques. During the 1960s, Martin recorded such artists as Shirley Bassey, Cilla Black, Gerry & The Pacemakers, Matt Monro, The Fourmost, Billy J Kramer & The Dakotas. When the Beatles split in 1969, Martin went on to work with Paul McCartney, most notably producing his James Bond theme 'Live & Let Die' in 1973. Martin had produced Shirley Bassey's theme of 'Goldfinger' in 1964. His success with the Beatles gave him the leverage to start AIR (Associated Independent Recording) at a time when most producers were on a salary. AIR studios gave him the opportunity to be hired by any artist who wanted him. He continued to work through the 1970s and 80s, his final album before he retired in 1998 was 'In My Life' an album of Beatles covers done by actors and musicians such as Celine Dion, Robin Williams, Jim Carrey, Billy Connolly and Sean Connery. He also worked with his son Giles, also a producer, who worked on the Beatles' 'Love' album for the Las Vegas show of the same name. George Martin's work with the Beatles will remain the pinnacle of his achievements, something which he was proud of and always took the opportunity to speak about. In Paul McCartney's remembrance of George, he nudged him closer to the 'Fifth Beatle' moniker, one that Martin usually distanced himself from. Indeed, when speaking to Gloria Hunniford, Martin told a story of a conversation he had with his daughter in the mid 70s on his work with the Beatles. She came home from school and told him the other children had asked her about him and his work with the Beatles and if it was true. He nodded and said it was. She then asked if they were any good, to which he replied yes. She then turned away and said "Not as good as the Bay City Rollers though!" George will be fondly remembered by all who knew him and I for one today will be celebrating his work by listening to it. Thank you Mister Martin, I like your tie too. A slight correction, he signed the Beatles without SEEING them play, but he had heard them when Brian Epstein played him their Decca audition tape. He also told the story about his daughter in the liner notes for the Beatles At The Hollywood Bowl album.